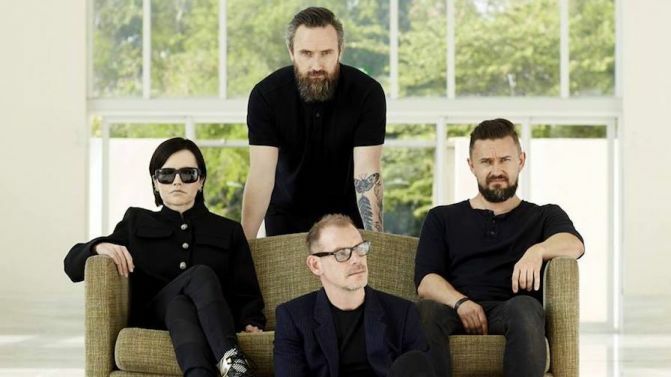 Irish rockers The Cranberries have released a new song featuring late frontwoman Dolores O’Riordan, marking the first anniversary of her death. The song, called ‘All Over Now’, is the first taste of the band’s eighth and final album In The End, which is set for release on 26th April. “I can’t think of a more fitting way to commemorate the first anniversary of Dolores’ passing and to celebrate her life than to announce to the world the release of her final album with the band,” said Dolores O’Riordan’s mother, Eileen O’Riordan. “I miss her awfully, ‘specially today, as does the entire family. That said I can’t think of a more fitting way to commemorate the first anniversary of her passing and to celebrate her life than to announce to the world the release of her final album with the band. Dolores O’Riordan died on 15th January 2018, and a coroner later found she died by drowning. The singer had already written and demoed the 11 songs which will now appear on In The End. Her bandmates Noel Hogan, Mike Hogan and Fergal Lawler said they planned to release their final album with O’Riordan’s vocals in 2019, and have since described the recording process as “bitter sweet”. “The joy of recording new tracks is always exciting and one of the best parts of being in a band,” Hogan said. Stream ‘All Over Now’ below, alongside the full tracklist for In The End.